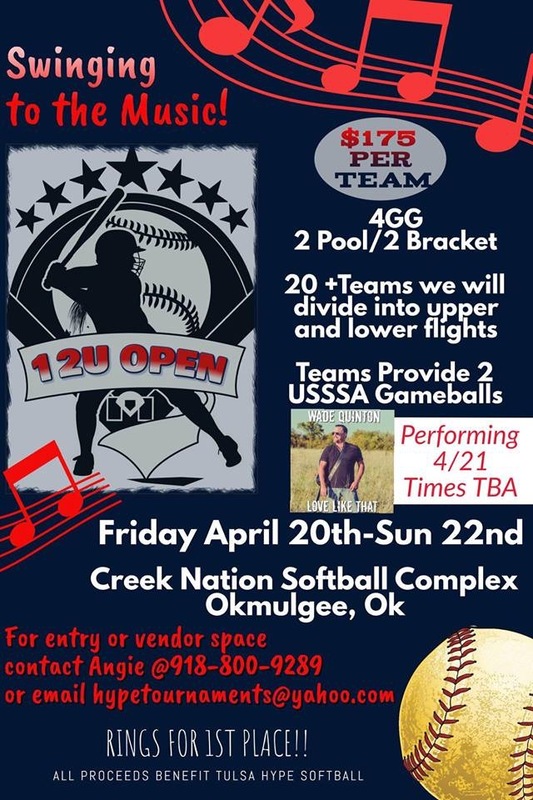 Tulsa Hype Softball “Swinging to the Music 12U Open Tournament” would like to announce Special Guest Wade Quinton will be performing at our tournament Saturday 4/21! Thank you Shock and Mayhem for entering!!!! Who’s next!?!? Addes Oklahoma Shock! Last day to enter!